Preorder the novel from Amazon Japan or the Square Enix e-STORE. That cover is extremely cute, and I love how Amano draws these characters. The X/Daybreak Town color palette is so pleasing when done right. I don't know that I'll be picking it up (probably gonna stop my KH collection habits with the BBS novel) but I'd definitely be interested to hear what Kanemaki does with the storyline and characters. This is amazing, I missed Shiro Amano's art. I really wish that he still did Manga for Kingdom Hearts. How Chirithy is holding their purse, Skuld being all majestic and Ephemer with his totally messy layered hair which I suppose is a total pain to draw. Also looks like Ephemer's eyes are indeed green while Skuld's are brown, not amber or golden. Fans treat the novels as secondary canon. If the information provided doesnâ€™t contradict the game, then itâ€™s treated as a legitimate part of the lore and backstories. I'll be picking this up. Money better spent on this than on the actual game. Lol. I'm such a reader. Will there be a translated version of sorts? I donâ€™t normally read cause words on paper are whole another level (haha), but if itâ€™s Kingdom Hearts, I am more than willing to sit down and read an actual book for once. Yen Press have been translating the novels, with BBS as the next to release in March. They havenâ€™t confirmed theyâ€™ll be working on this one, but please send them your support on social media if youâ€™d like to see it make its way overseas! English translations are published by Yen Press. So far the novels of KH 1, Chain of Memories, KH 2 and Days are translated and available to buy. The novel of BBS is slated to be the next one released. While their official canonity is ambiguous the author of the novels is part of Nomura's team and and sometimes gets background info from him. Compared to the games the novels are actually superior in some fields, especially when it comes to characterisation and interaction between characters. Being able to read their inner thoughts also helps relating to many of them better. Oh wait...not translated into English?? Okay, I missed that. I guess I won't be buying this after all. Sigh. 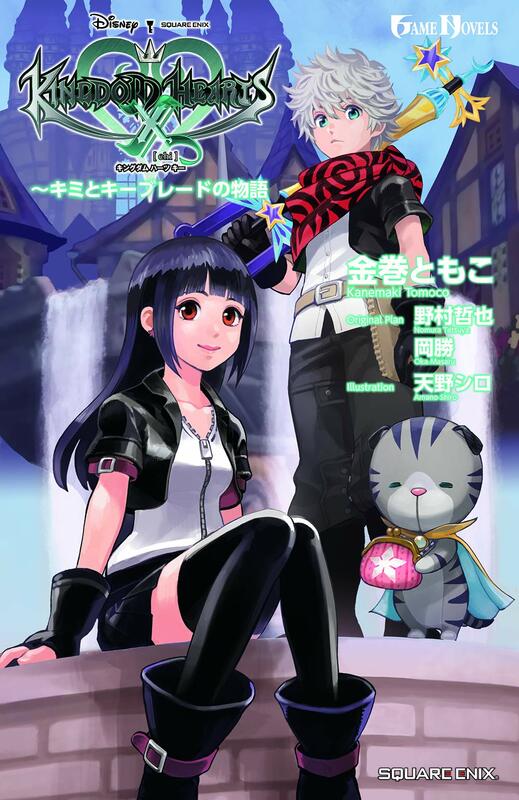 Aww, lookit how cute Skuld is. If only she had been included in Back Cover. Wow, there have been 20 novels before this. I did not realize that. I hope this releases in English. It looks like a fun read. I may get it anyway it looks nice. Man, my library only has the manga. And none of them even have all the volumes! By far the best KH novel cover! Not only the art is great, but the color scheme is stunning!! I don't think Back Cover Movie did a good job in that department, so props to Shiro! It looks colorful and vibrant as it should be. Daybreak Town is such a gorgeous World. I hope one day we can go there in a main game.